Photo Slideshow Director HD provides kinds of themes for choosing, which can make your slideshow eye - catching. 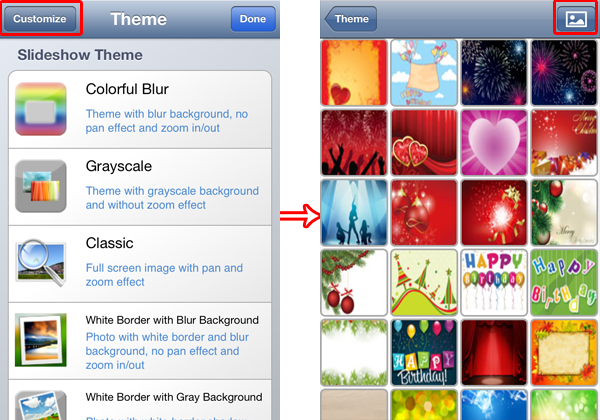 After choosing a theme, you can customize the theme with a background image. Tap Theme tab from the menu bar. 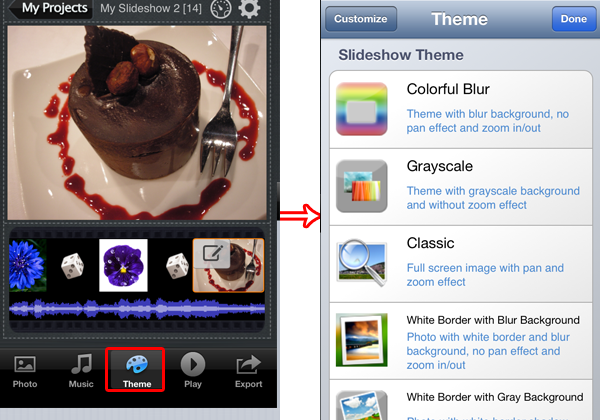 In the Theme window, choose a theme from Slideshow Theme list and tap to apply it. Tap Customize button, many beautiful theme images will show up. Choose one image and tap it to apply it. Tap the image button at right top corner, you can use a photo from iPhone albums as background image.